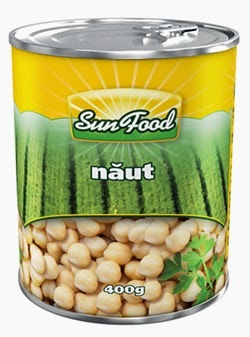 Besides vegetable protein content and minerals such as potassium, magnesium, phosphorus, calcium, selenium and trace elements (oxide fibers), chickpeas has in his structure insoluble fiber, extremely beneficial for constipation and appetite control, wich rapidly producing the sensation of saturation. These fibers are not absorbed in the intestines. Swell in the presence of water and cleanse the intestines. Eating chickpeas helps regulate bad cholesterol, LDL, total cholesterol and triglycerides. - 168 mg of phosphorus (phosphorus DRZ is 700-1000 mg). Phosphorus helps healthy bones and teeth. Due to the high fiber and low glycemic index, chickpeas is a food that you must include in your diet. The salads with chickpea are tasty and help you control your appetite. From lettuce to tomato salad or vegetable meatballs!